Sure, all that sailing in Brazil and the Caribbean are fine, but it interferes with the important stuff, like building! 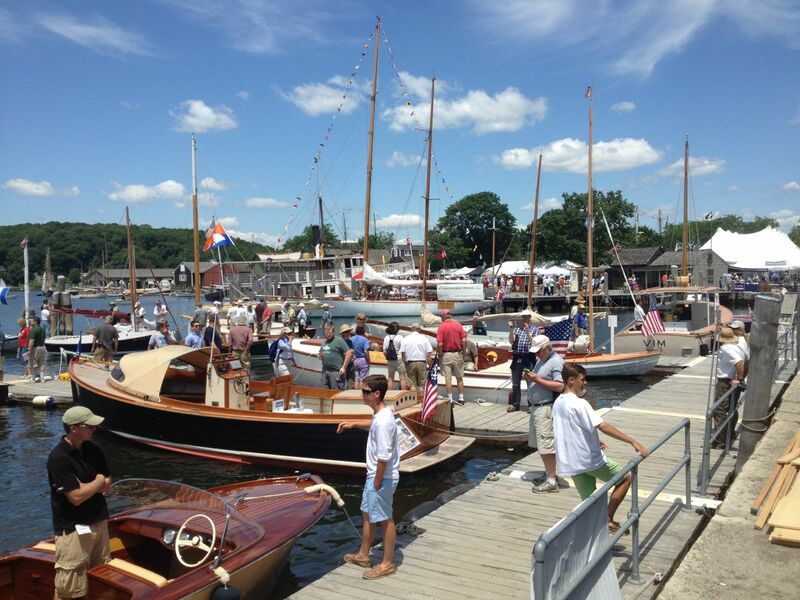 Thank goodness for the Wooden Boat Show, which always helps me put sailing and building back in their proper perspective. I've returned from the annual pilgrimage filled with a lust for sawdust, and with one important missing piece of my new galley, which I will get to in a moment. This must have been the busiest WBS ever, because I've never had trouble parking at the show. This year, I was turned away from the South lot, which is my favorite because it is closest to the demonstrations, and I do believe I snagged the very last spot in the North lot. However, the show is so spread out, and the Seaport so large, that it didn't seem crowded at all. It was a beautiful day, and thanks to the unusually cool weather we've been having this spring and summer, not as blazingly hot as the show often is. 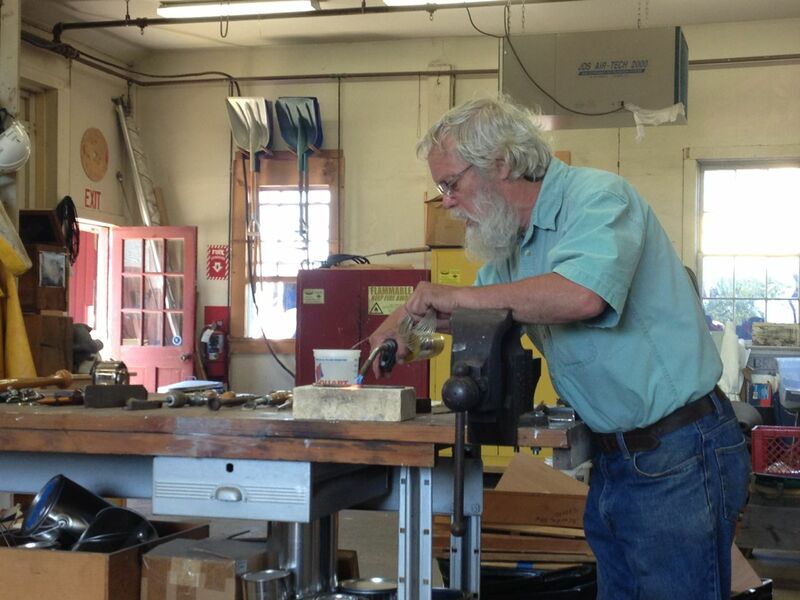 Harry Bryan is a well-known designer and builder who has also made something of a name for himself as a tool maker. His book "Making Hand Tools" is terrific, but I was really hoping he would demonstrate silver soldering, the technique he'd discussed in the JUL/AUG 2010 issue of WB. I was not disappointed. Silver soldering is a way to join bits of metal, like bronze or steel, with a very strong bond. You can use the technique to make all sorts of useful metal fittings. For example, the original Blue Moon Builder used it to make the steel fitting that held the two ends of the BM's original boomkin together. Not having the nerve to try the technique, I was forced to use elegant nuts and bolts for the replacement fitting. To demonstrate the strength of the bond, Harry joined two 1/4-inch rods together, end to end. The only tools required were a fire brick to protect the bench, some flux and silver solder, and a torch. 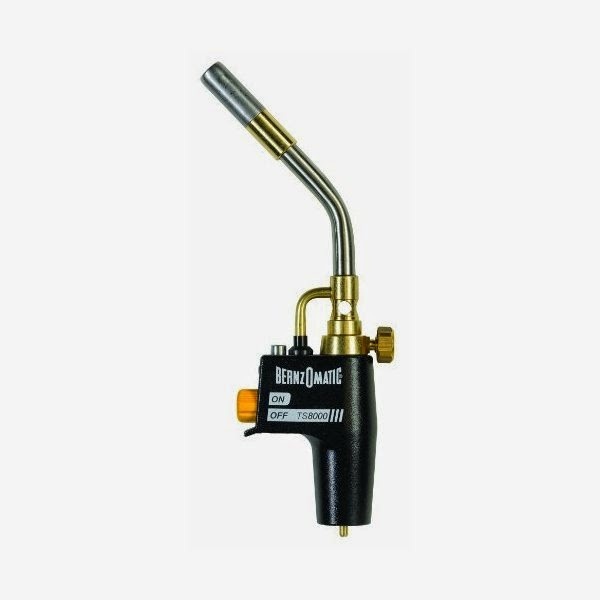 The head lights the torch with the press of a button, and shuts the flame off as soon as you put the torch down on your bench. This makes the torch much safer to use. He told a story of a builder who left a torch burning on his bench and accidentally put his arm in front of it. I was convinced! Instead of propane, the torch burns Mapp gas, which is hotter. Like most types of joinery, its important that the two pieces fit closely together, so the ends of the two pieces of rod were cut square. When laid on the brick, end to end, they fit together very closely. He then heated the joint until the pieces glowed red hot, removed the flame, and quickly touched the joint with the solder. That's all there was too it. To show how strong the bond was, Harry clamped one of the ends in a vice and bent the rod double at the joint. So much force was required to bend the rod, I was sure the joint would fail, and actually held up my hand to shield my eyes (I was in the font row.) But no, the joint held. When done correctly, the joint does not consist of two pieces of bronze with some silver in between, as if it were a glue joint. Instead, the molecules actually mingle in the joint, so you have bronze molecules, then a mixture of bronze and silver molecules, then bronze molecules again. I found this explanation fascinating, but the important thing is, it's a really strong joint. I have several projects in mind where this sort of soldering, or brazing, will be very handy. Stay tuned. 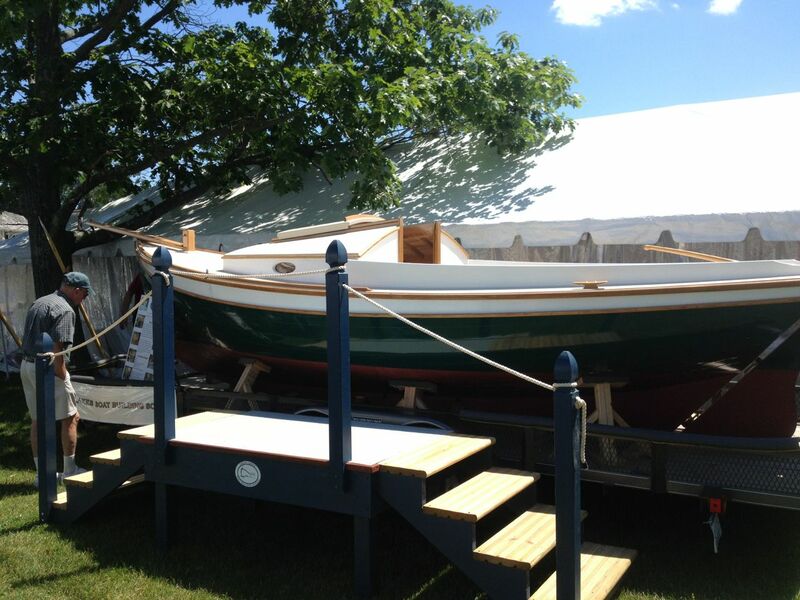 Incidentally, one of Harry's boats was at the show: this absolutely scrumptious beauty. What an eye he has. I'll finish this post tomorrow. I felt the same way when I left. I was already visualizing a change I wanted to make and discussed with several other builders at the show. I missed the workshop on tool making but made it to the Nordic Plane and Wood steaming workshops. Both were excellent. Already looking forward to next years show.Keep up the great posts.